Matthew Mole released the video for his new song, 'Inside out', this week. 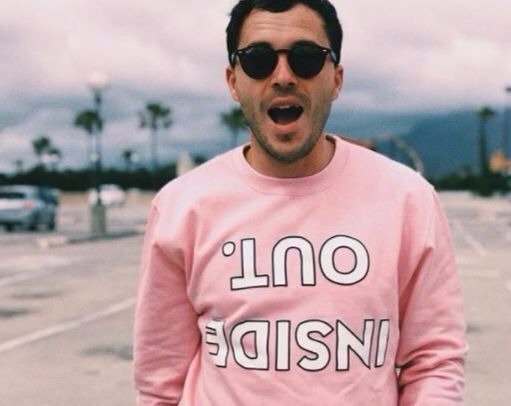 The Cape Town musician wears a pink sweater in the Brendan Barnes-directed video. In fact, the entire video is surrounded by pink - from his drum set to the room he performs in. Matthew explained the inspiration for his video on YouTube. "For this video. I wanted to rerecord the song in a live setting. We took all of our gear and set it up in Alastair Thomas's home in Melville, Johannesburg. I recorded the Piano, Drum Kit, Percussion and Vocals live while Brendan Barnes filmed everything," he captioned the video. 'Inside Out' is the fourth single off Matthew's sophomore album, 'Run'. It seems he has a few surprises in store for his fans as far as the single is concerned. "I also have a few more little INSIDE OUT surprises coming soon!" Mattthew said on Instagram when the video dropped.